If there’s anything about Quinceanera that must be perfect, it’s—well, it’s you! You’re the star, the centerpiece of the celebration. This is your chance to shine and the chance for your family and friends to watch you change from a little girl to a stunning young lady, right before their eyes. Of course, your dress is important, but beautiful and youthful makeup is, too. Every moment of your special day will be captured on film and in the video, so while you do want to look “all grown up,” you don’t want to look a decade older! So let’s talk about what goes into glamorous, gorgeous Quinceanera makeup that’s just right for you! Before you even think about pinning that amazing eyeshadow look or that out of this world lipstick color, remember this keyword: Youthful. You want your personal beauty to shine though, not be hidden under layers of foundation, contouring and, well, goop! Remember too, especially if you’re celebrating a Quinceanera Mass before your reception, you want to project an air of respect and modesty. Probably the best tip we could give you is to look at “natural” makeup styles for brides as a starting point, then add your favorite flashy Quinceanera eyeshadow look and perhaps a lipstick color that really pops. There’s a better reason that Quinceaneras are often planned a year in advance than just picking out the perfect place setting: You need time to get your skin into its best possible condition. If you’re not sure of your skin type, or if you need help establishing a good skin care regimen, you have lots of options. You can scout the internet for links to self-help skin analysis tutorials or go to a good makeup artist or esthetician. If you feel your skin needs more attention, or you know for sure you need some help with breakouts or troublesome skin condition, visit a dermatologist. You could even ask your parents if, instead of the pricier tiara or fancier dress, they would pay for you to visit a professional to learn how to take really good care of your skin. You can be sure they’ll be proud of you for asking for something that will really last: A beautiful, healthy complexion! You may already have a pretty good idea of which makeup colors look good on you and which absolutely do not. For instance, maybe you borrowed your friend’s raspberry nail color or lipstick—that totally rocks on her—only to find out it looks totally weird on you. Or you thought that beautiful persimmon orange blush would be great—but it either stood out on your face like clown paint or disappeared completely. Those are clues that you either have a yellow undertone to your skin (which is why the raspberry didn’t work) or blue undertones (so now you stay away from orange). Most girls fall into 3 major skin tone categories: Cool, Warm, and Neutral. But there are variations on these, and there is always an exception to the rule. And if there’s one day in your life when you absolutely must wear the right colors for your skin tone, it’s your Quinceanera! Important: You really need to know the best colors for your skin tone before you go shopping for your dress! So do a little research. Look online for ideas on how to find your skin tone, and also give serious consideration to getting a free makeover from a makeup artist at your local department store. She’ll be able to tell you, pretty much right off the bat, your exact skin shade, your undertone, and what colors will look fabulous on you and which colors to stay away from. Once again, your local department store makeup artist may be your best helper when it comes to balancing your features by contouring or strobing (the new technique that uses only highlighter). You need to know which features you want to play up, and which features you want to correct. If you’re overly conscious about your nose that you feel is a little crooked, or your cheeks that seem too full, then a little contouring will definitely help. If you just love your eyes but feel that your lips are too thin, then learn how to play up your eye makeup and also find lipstick tricks to make your lips look plumper. 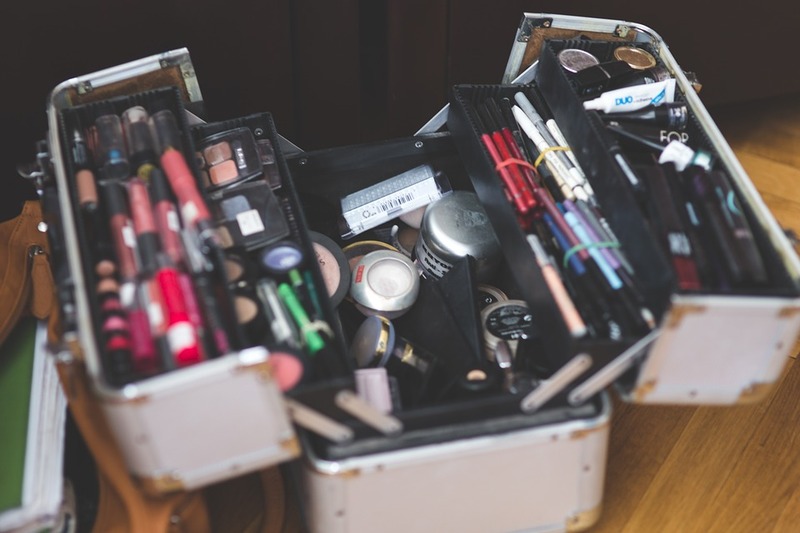 While hiring a professional makeup artist for your Quinceanera can be of tremendous value, don’t let him or her make all the decisions for you. Learn enough to be able to give your own suggestions. 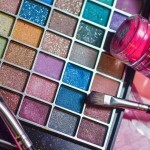 Now that you have an idea of what colors look best and which features you want to play up, it’s time to look for makeup styles that you like. Choose 4 or 5 pegs and add notes on specific details that you like, then visit a makeup artist for ideas. You don’t need to find a photo of the one perfect face with all the details you want. Just collect a handful of the looks that most appeal to you, like maybe the flirty fake lashes in one look and the dewy highlighting in another. And while you might not have all these details included in your personal Quinceanera makeup look—because using everything might be overwhelming—at least you’ll have a pretty good idea of what elements appeal to you. Then you and your makeup artist can decide which ones to prioritize. Your Quinceanera is a party, which means there will be a lot of moving and grooving—and probably a little crying once in a while, like when you dance with you dad or your favorite padrino makes a speech. The last thing you want is for your makeup to run or blotch, so make a special note to tell your makeup artist to use only waterproof and sweatproof makeup. If you’re going to DIY, read labels very carefully. Not only will you not have to worry about happy tears or lively dancing, but you’ll also need fewer touch-ups. Then you can have fun without worrying about raccoon eyes or that your face is starting to look shiny for all those candid professional photos and selfies with friends. Also, don’t forget to factor in the weather and where you’ll have your reception. If your Quinceanera party is an outdoor fiesta, you might need greater sweat-proof protection. If it’s indoors in air-conditioning, a little moisturizer can help keep your face looking dewy and young and not develop those little fine lines due to powdered makeup creasing from your skin drying. Maybe worse than shiny skin, the last thing you want is “fine lines” when you’re only 15! HD makeup (high definition) is all the rage now. The advances in technology can make photos and videos so sharp that you can practically see every pore! HD makeup is a special formulation that scatters light and makes your skin look flawless and smooth even when projected on HD screens and monitors. It’s a must that you try out HD makeup early on to make sure you don’t have a reaction and to find out which shades are best. Tip: You might find that clear HD powder alone—used over your regular foundation—is enough to scatter the light. You can always do a few selfies to see how it works. You might even like the clear powder enough for everyday use if it doesn’t look too heavy! The best face to make gorgeous with makeup is a clean face—by “clean” we mean smooth, bump free skin with very few dark spots or blotches—and that’s not something you can achieve overnight. It will take you at least several weeks to condition your skin to make it look its natural best on the day of your Quinceanera. So treat your skin like a princess would. Get good advice on a skin care regimen and visit a dermatologist especially if you have stubborn acne or sensitive skin that’s prone to allergic reactions or other unpleasant issues. Get into the habit of getting enough sleep now so come Quinceanera day, you’ll have less risk of dark circles or puffy eyes. Eat healthily and exercise, not just for your figure, but also to make your skin glow. And don’t forget those eight glasses of water a day. Water helps flush toxins and helps to keep your skin hydrated. 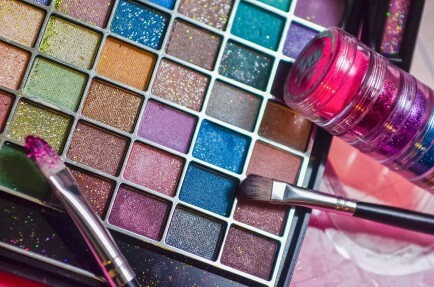 At the end of the day, the best kind of makeup for your Quinceanera is one that lets your natural beauty shine through. You may have some trouble spots covered up and some features like your beautiful cheekbones highlighted, but you still want to look like yourself—your most beautiful self. They say beauty is only skin deep and in many ways that’s true. What really makes a woman truly beautiful is confidence. So take these months and weeks before your Quinceanera to learn as much as you can. Then you’ll have confidence that you’re the best Quinceanera you can be!